John Raspado is Mr. Gay World Philippines 2016. John Raspado from Baguio City was hailed as this year’s Mr. Gay World Philippines at the University of the Philippines Theatre in Quezon City last October 2. He will be representing the country in the Mr. Gay World 2017. Aside from the top prize, he also bagged the Best in National Costume, Best in Casual Wear, and Mr. Gay World Philippines Popularity awards. Khalil dela Cruz of Zamboanga won 2nd runner-up while Pangasinan’s John Bench Ortiz was 1st runner-up. 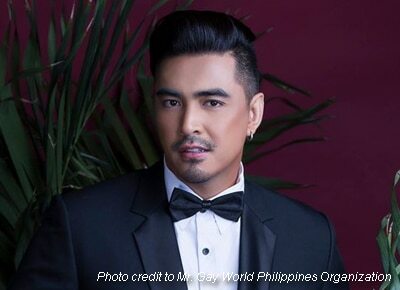 In 2014, John won the title “I am PoGay” in It’s Showtime back in 2014. Mr. Gay World aims to empower gay men and to "demonstrate that both inward beauty and physical appearance are equally important as is leadership and confidence."